The fresh cranberry deserves way more attention than it gets. For one, this berry is packed with antioxidants and nutrients (such as vitamin C and loads of fiber) and they happen to be unique in their ability to aid all things digestion-related. They’re also easy to work with and very versatile. For instance, they chop well, they hold their color when cooked or baked, they handle any sweetener you use without falling apart, and they’re pretty (whether whole or chopped). Since it’s cranberry season, then, let’s look at ways to give cranberries their due (as discussed in my Nov 2012 issue of Bon Apetit Magazine). You know about, and have probably tried the cranberry bread recipe found on the back of the Ocean Spray® bag, but have you tried these ideas? These are just right for decorating a cake. To prepare them for this, prick the berries from one 12-ounce bag with a toothpick. Then bring 2 cups sugar and 2 cups water to a simmer in a medium saucepan, stirring until sugar dissolves. Remove from heat. Add cranberries; stir to coat. Refrigerate cranberries in syrup overnight. Drain, reserving syrup for another use. The next day, in a medium bowl, toss cranberries with 3 tablespoons superfine sugar to evenly coat. Arrange cranberries in a single layer on a baking sheet lined with parchment paper. Sprinkle with 1 tablespoon superfine sugar and let stand until dry, about 2 hours. 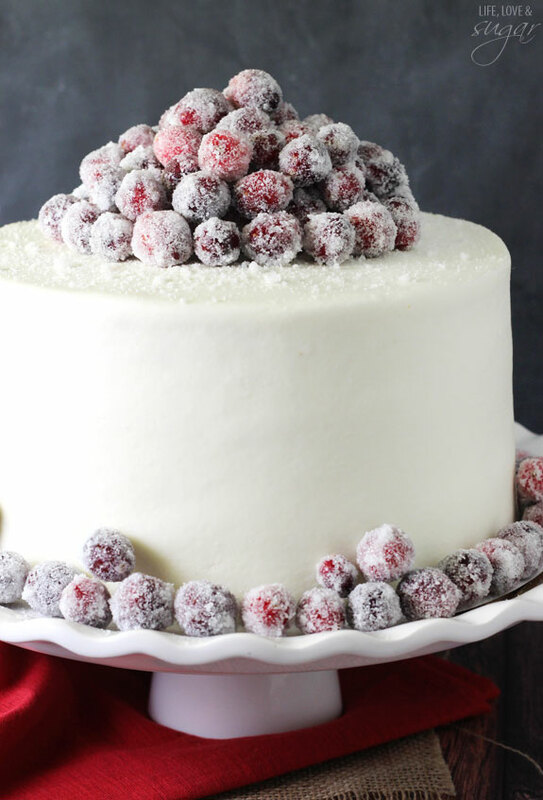 Once dry, arrange berries on a freshly iced cake. 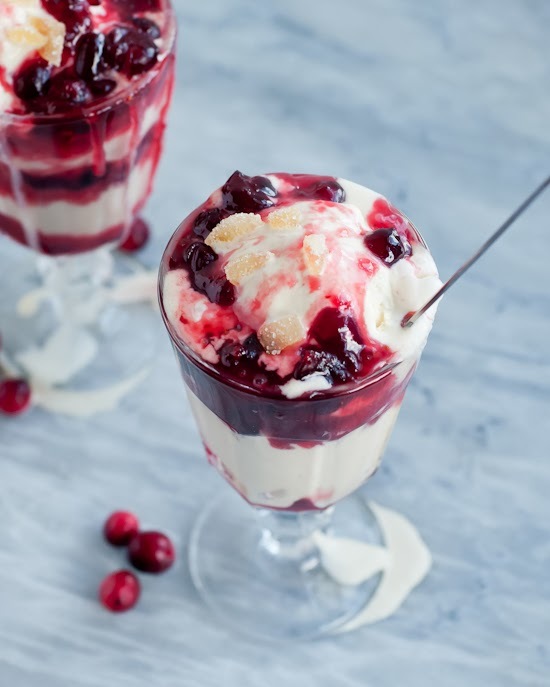 You can also use the above stewed cranberries as an ice cream or crème fraiche topping. Just don’t drain the syrup off. This has become a holiday favorite in our family. 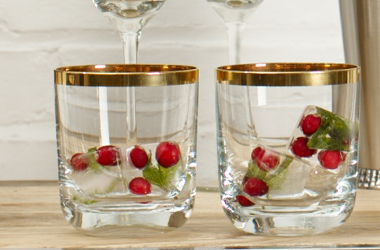 Cranberries add a festive touch to drinks. Just freeze with juice or sparkling water and mint leaves if you like, in ice cube trays and float these cubes in your holiday drink. We like to fill a pitcher with equal parts cranberry juice and sparkling water, add a few frozen cranberries to stemmed glassware, then finish with the cranberry ice cubes. This berry also adds pizzazz to your morning oatmeal. 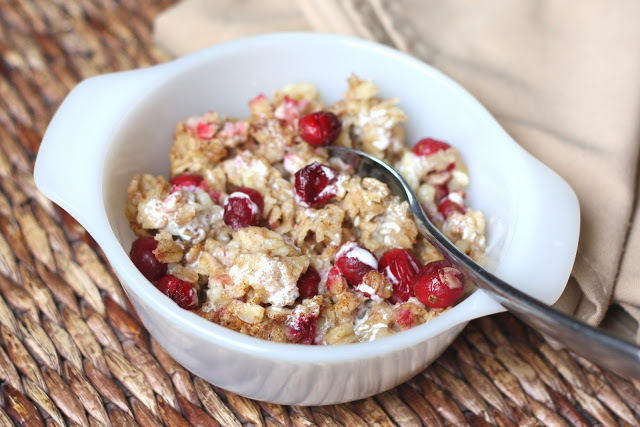 Prepare a serving of oatmeal, stirring in a handful each of fresh cranberries, chopped apple, and a sweet berry ( blueberries, or diced strawberries) during the last minute or so of cooking. Cover and let stand for a few minutes, then sprinkle with chopped toasted walnuts and sweeten to taste with raw honey or maple syrup. 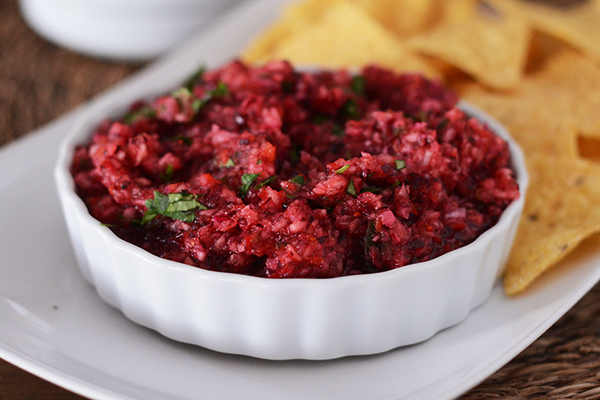 Cranberries also make a brightly flavored salsa that’s a perfect accompaniment to roast chicken, turkey, pork, or fish. Or you can spoon it on top of goat cheese crostini for a delicious party treat. To make, pulse 3 cups fresh cranberries, 1 cup light brown sugar, 1/2 cup chopped shallot or red onion, a chopped seeded jalapeño, and the zest and juice of 1 lime in a food processor until coarsely chopped and combined. Let stand at room temperature about 15 minutes, then stir in a handful of chopped cilantro and more lime juice to loosen, if needed. 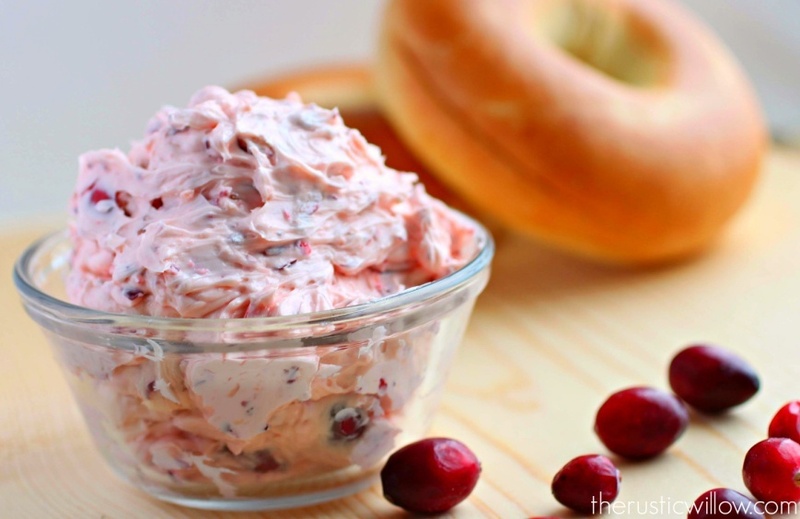 And then there’s cranberry butter. Serve this bright pink spread with toasted bread, bagels, or muffins. 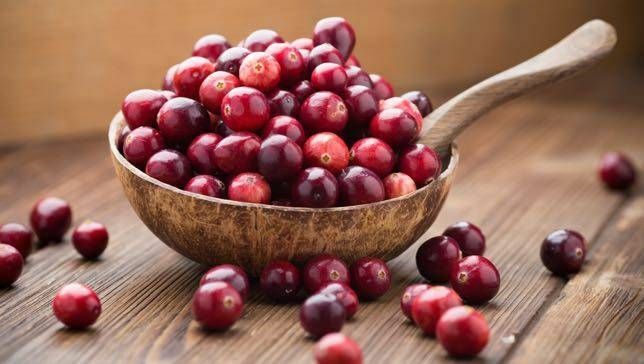 Just combine half of a 12-ounce bag of fresh cranberries with about 2 tablespoons pure maple syrup in a medium saucepan; cook over medium-high heat, stirring often, until the cranberries break down and thicken to a jam-like consistency (8-9 minutes). Remove from heat and let cool completely. Using an electric mixer, beat about 1 cup softened butter with the cooled cranberries until combined. Use chilled or at room temperature. Also, cranberries add color and flavor sparkle to winter squashes. This side-dish recipe is so good you can actually serve it as a full meal entrée. Preheat oven to 400 °F. 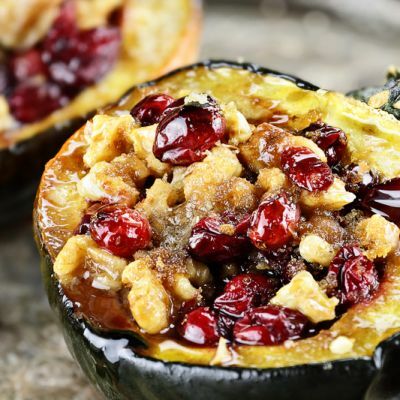 Brush the squash flesh with melted butter, then sprinkle with the 1 tablespoon dark brown sugar. In a medium bowl, mix cranberries, apple or pear cubes, oats, cinnamon, the 2 teaspoons dark brown sugar, and sliced almonds. Spoon mixture into squash halves, dividing equally, and dot with the 2 tablespoons butter. Bake for 55 minutes, then cover with foil and bake until squash is tender, 15-20 minutes longer. Let cool slightly prior to serving.